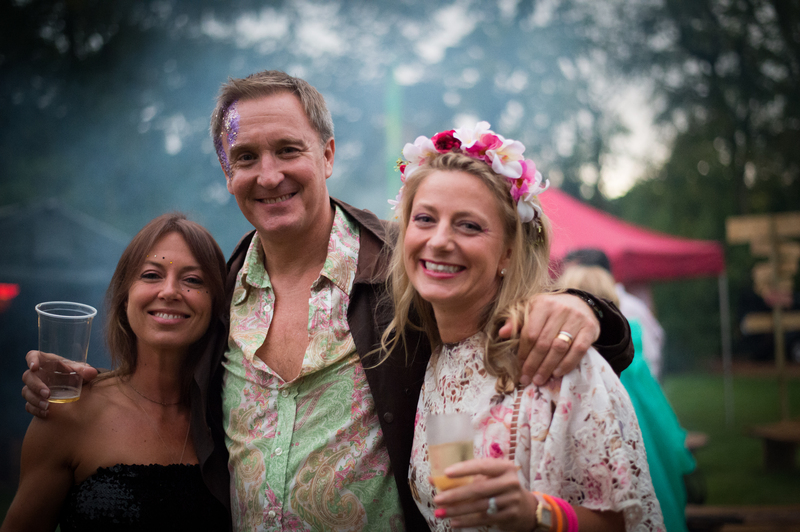 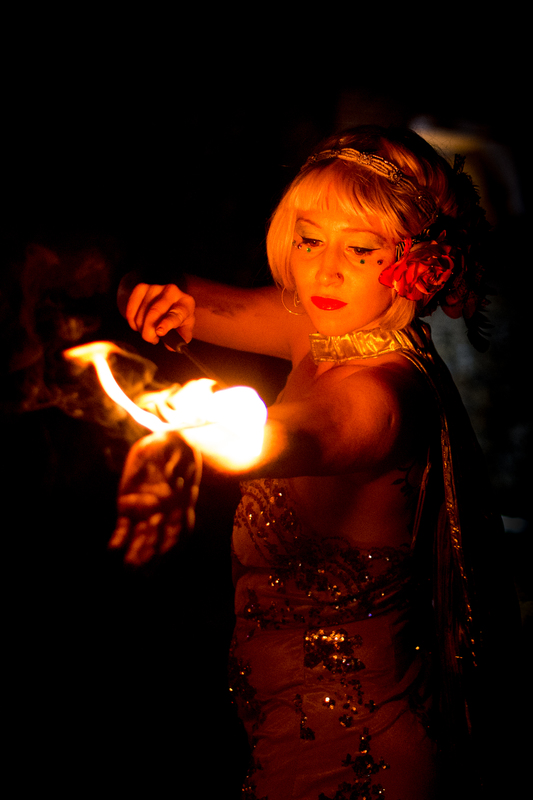 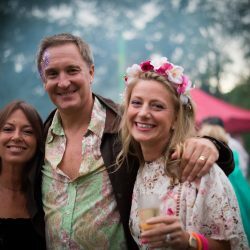 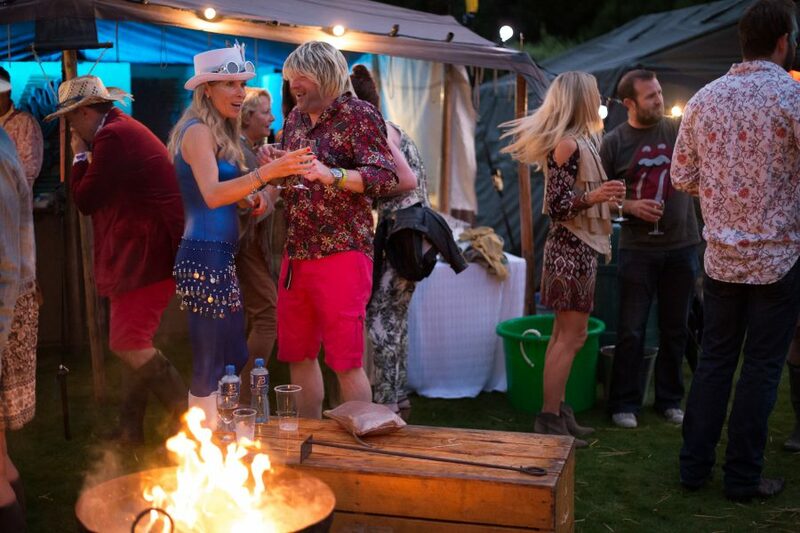 We love it when the brief is a mini festival - and this has to be one of our favourite parties so far. 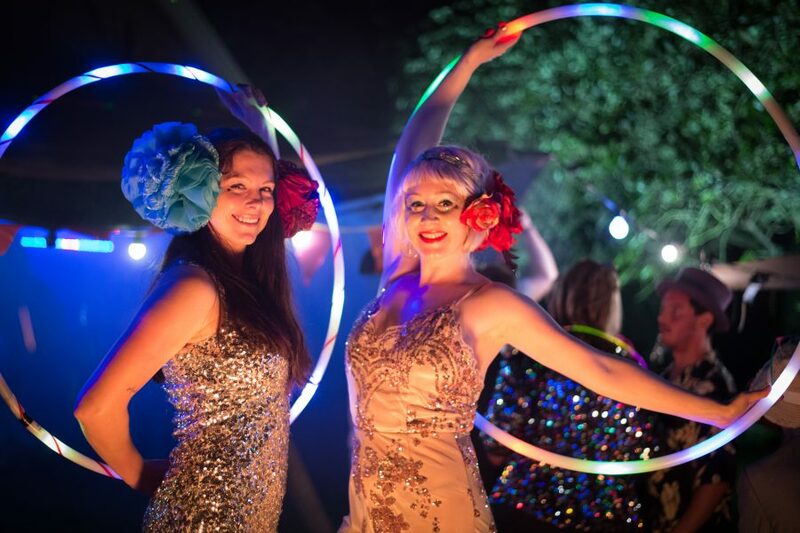 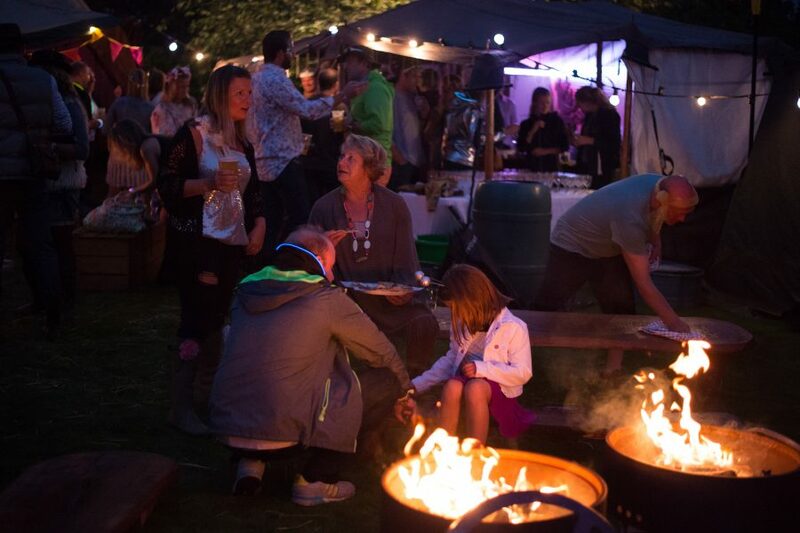 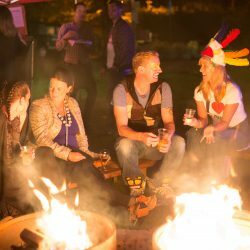 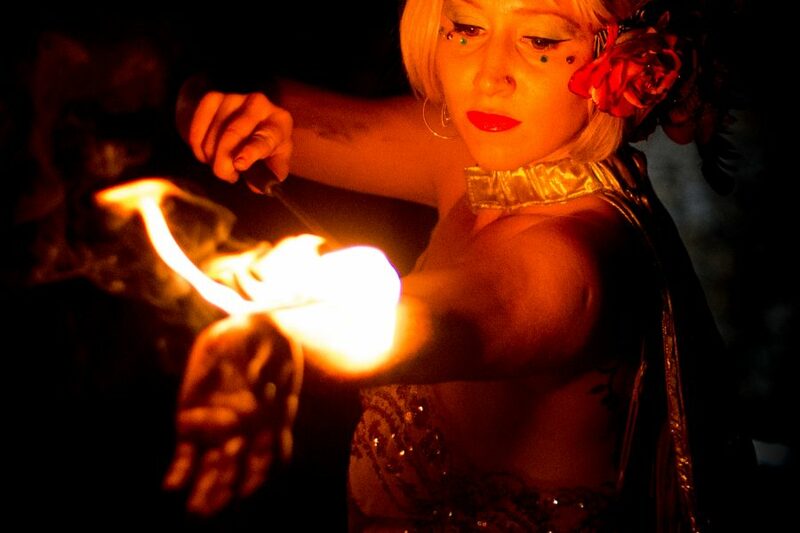 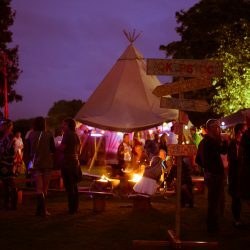 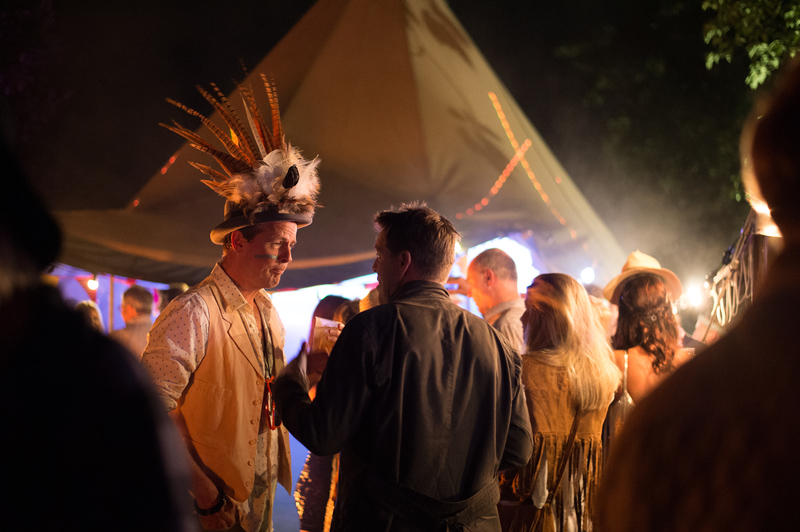 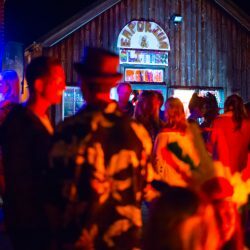 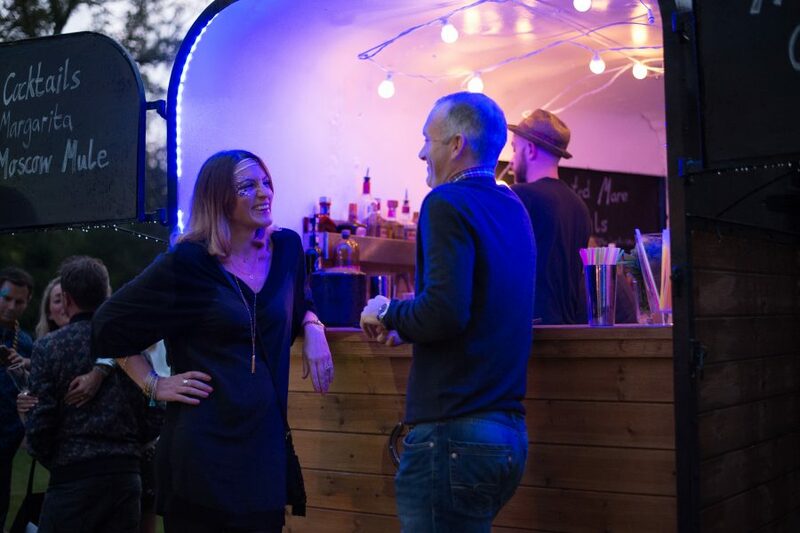 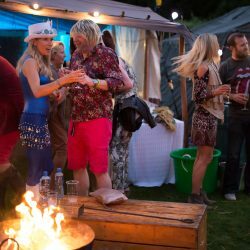 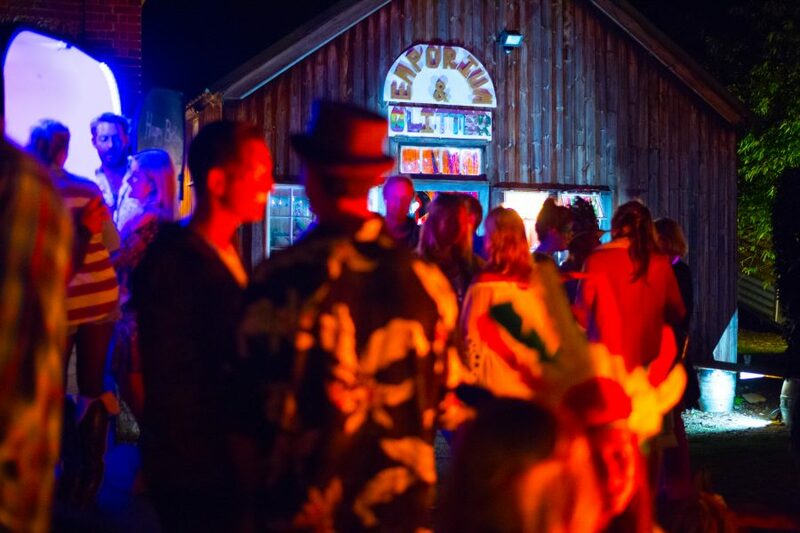 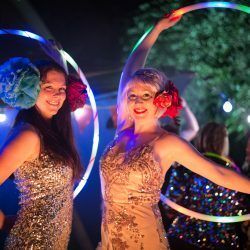 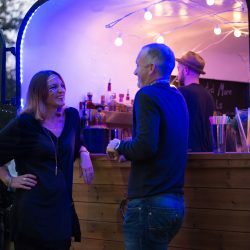 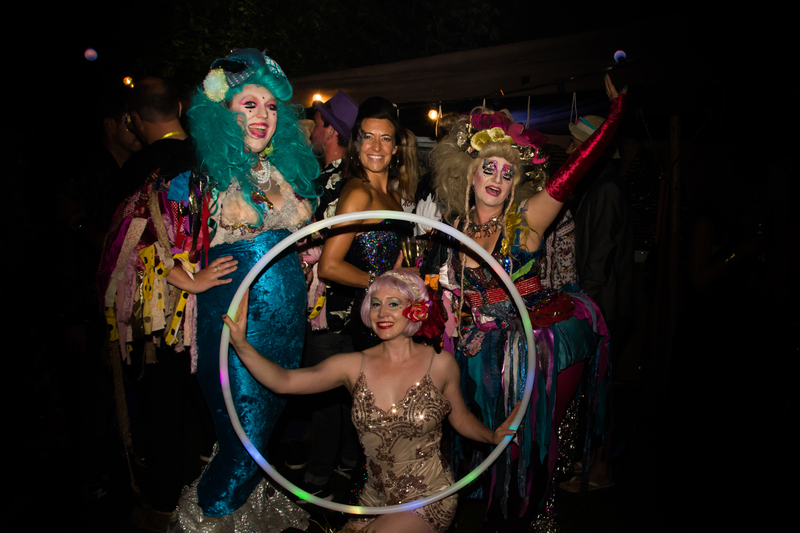 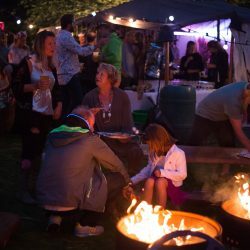 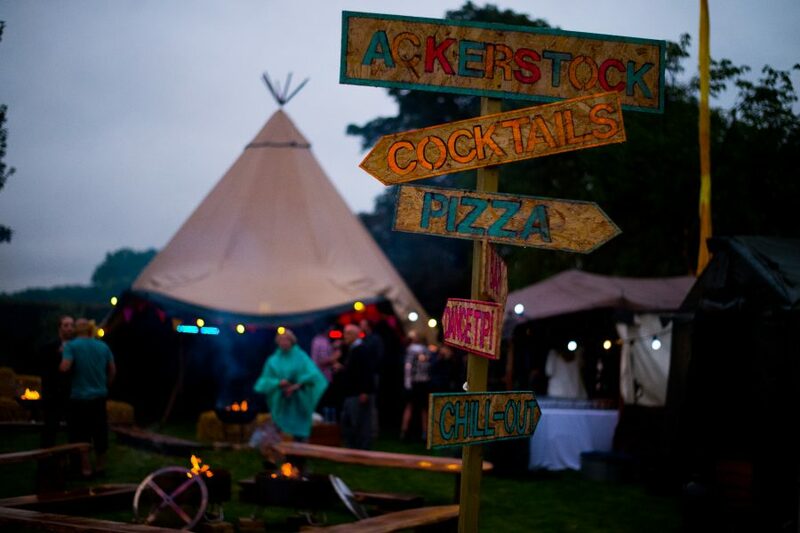 Using a mix of structures, a tipi for dancing, a Bedouin tent for the bar, an army tent for chill out, the horsebox bar for cocktails and fired up pizza, we created a circle of structures to keep the festival feeling really busy. In the centre we spread 5 fire pits around with different seating including log benches and straw bales clustered around them. 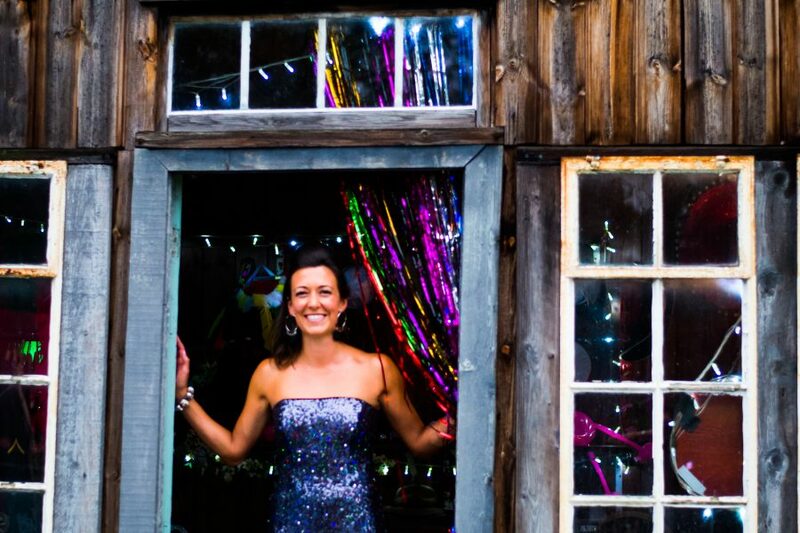 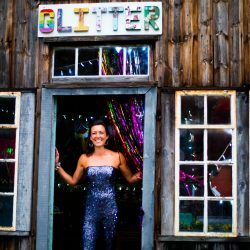 We were also delighted to use the client’s stables to create a “Glitter & Emporium”. 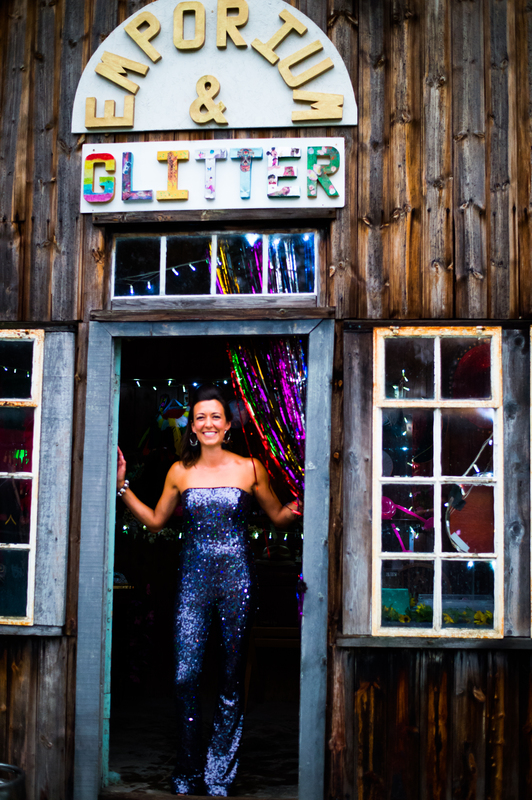 In here, our favourite glitter face painters took up residence. 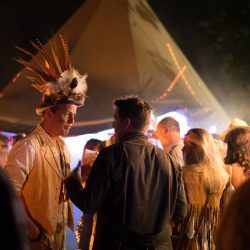 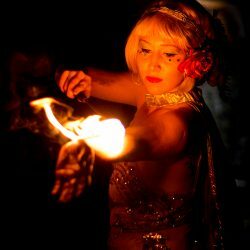 We also offered a rail of vintage fancy dress items and hooks full of hats and accessories all befitting of a festival. 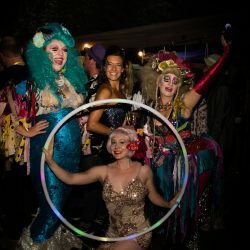 Using shimmer curtains, funky lights and plenty of props this became a really unique space and by the end of the night most revellers had been transformed with glitter and funky costumes. 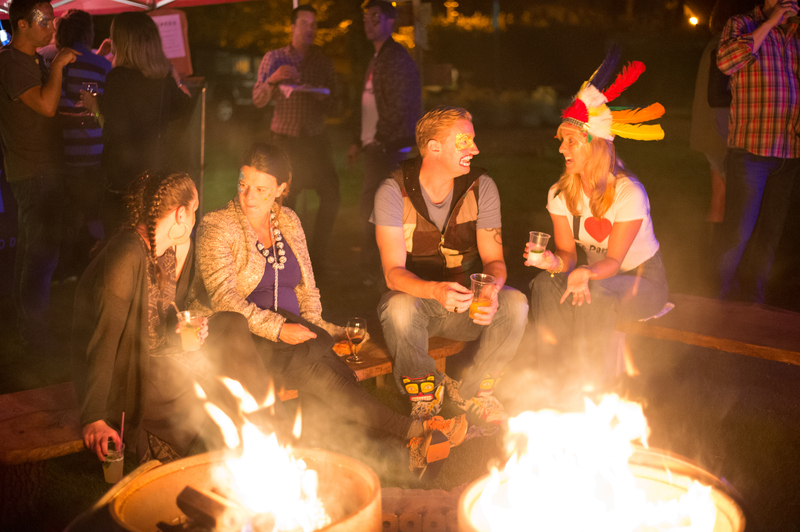 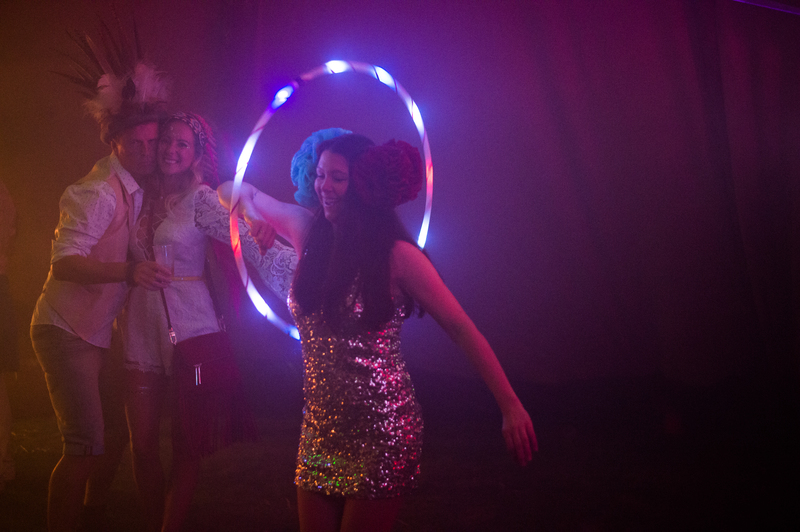 Extras included, LED fire hula hoopers and some fantastic lasers, which brought the tipi to life. 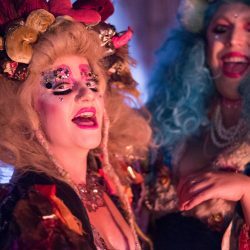 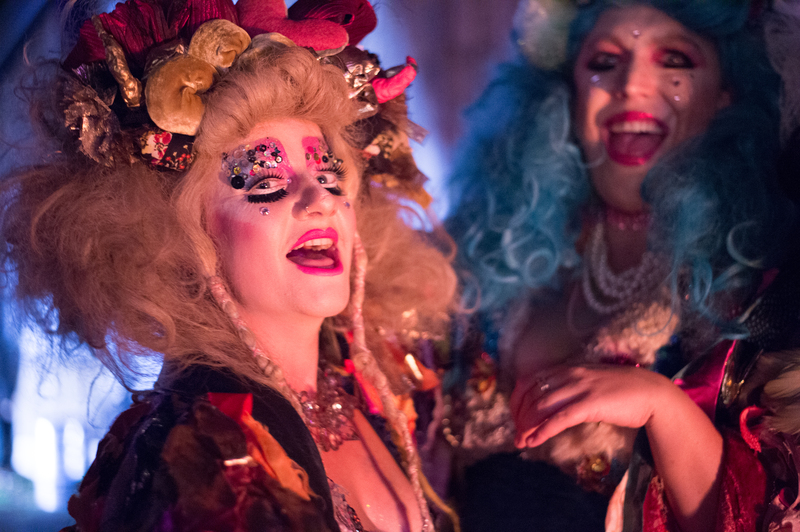 We also booked the amazing Red Rash - a crazy group of interactive performers dressed up in wigs to look like old hags who mingled with the crowd, played twister with people on the dance-floor, and took everything to another level. 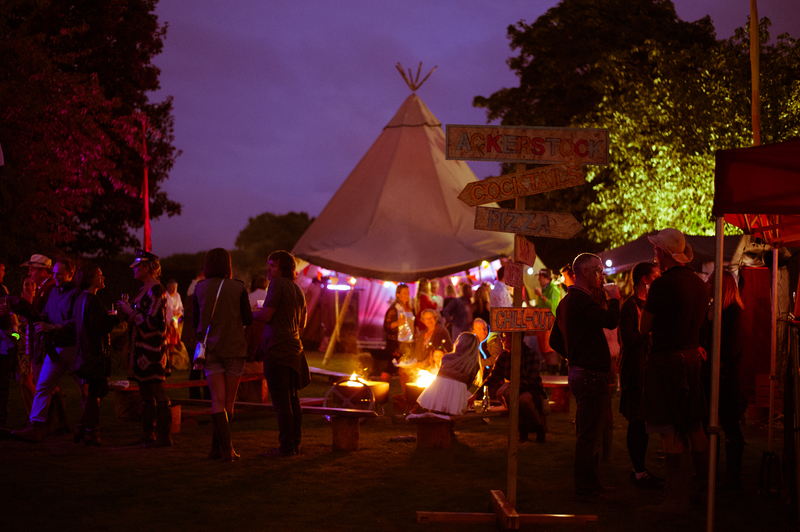 The music in the tipi was finally turned off at 2.30am, and many smiling faces tottered off to bed. 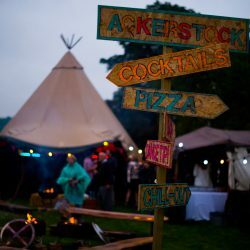 The next morning we even ran a Bloody Mary Bar to help with the hangovers!